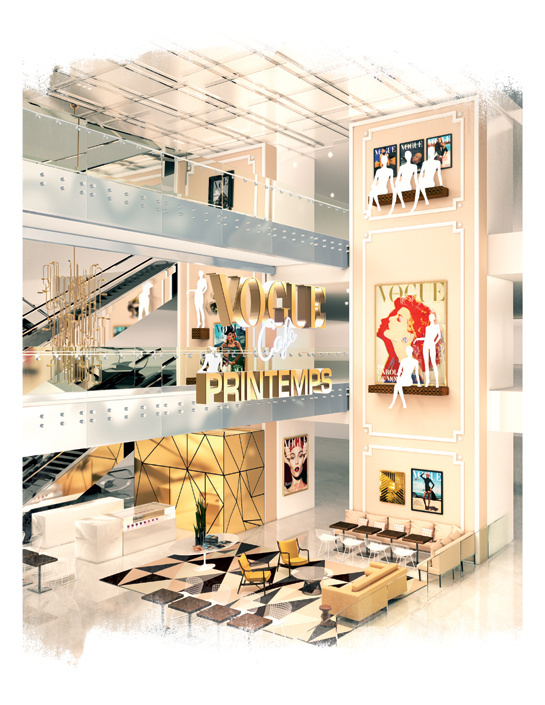 From today on The Vogue Cafe will open her doors at Printemps Paris until the 22th of March. It is supposedly going to be a real treat to visit this pop-up cafe. Besides the beautiful decoration (Swedish 50’s design furniture, magazine covers, gold chandelier, and mannequins walking around), the cafe will have a mouthwatering menu with delicious treats as pastries, fruit juices, tea and on the side some salads and club sandwiches supplied by Parisians Hugo & Victor. 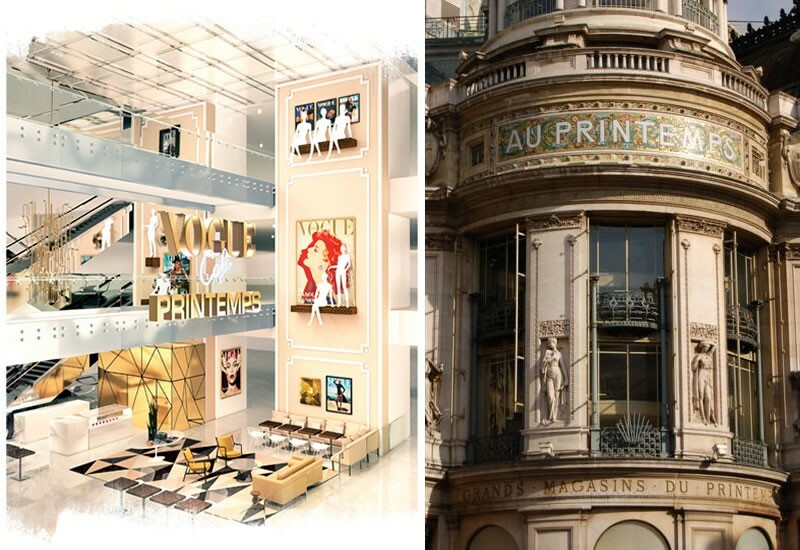 Definitely going to check it today and curious to see what Vogue did with the window displays of the department store. Let me know what you think!